Dr Ronald Jalleh graduated from the University of Malaya in 1983. He obtained his membership from Royal College of Physicians of Ireland in 1987. He was awarded a Commonwealth Medical Fellowship in Respiratory Medicine at the University of Edinburgh (1989-1990). He became a Fellow of the American College of Chest Physicians in 1995 and Fellow of the Royal College of Physicians of Ireland in 2002. He has been in private practice since 1995. 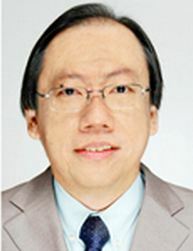 He has presented and published papers both locally and internationally on topics of his special interest including bronchial asthma, chronic obstructive pulmonary disease, tuberculosis and sleep apnoea.